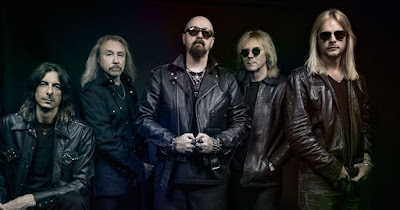 Judas Priest delivered the first performance in 35 years of their 1976 classic, “Tyrant”, at the Freeman Coliseum in San Antonio, TX on May 1, and video from the show is streaming online. The project earned Judas Priest their highest-charting US album with its debut at No. 5 on the Billboard 200, while also scoring their first UK Top 10 album in 38 years with a No. 5 entry on the Offical Charts. Guitarist Glenn Tipton rejoined his bandmates for the encores in San Antonio, following news of his recent retirement from touring after being diagnosed with Parkinson’s Disease and his recommendation to add “Firepower” co-producer Andy Sneap to the lineup in his place. Tipton, who has made several appearances during the spring trek, was on board for the classic tracks "Metal Gods", "Breaking The Law" and "Living After Midnight." Judas Priest will begin the European leg of the “Firepower” world tour in Oslo, Norway on June 5, following its conclusion in early August, the band will return to North America late this summer to team up with Deep Purple for a 25-city co-headlining trek that will begin in Cincinnati, OH on August 21.